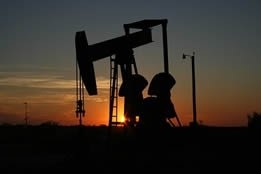 Despite all indications that the global market is well supplied with oil that can be sustained at the will of top producers, analysts continue to forecast an overall tightening in the near term; but given projections supplied by the Organization of the Petroleum Exporting Countries (OPEC) on Wednesday, the question is, will slowing demand render these tightening fears moot? OPEC in its latest monthly report believes global supplies will be just fine moving forward: it stated that oil supply this year will grow by 2.02 million barrels per day (bpd) despite making a downward revision of 64,000 bpd from its last report; next year, non-OPEC oil supply is expected to grow by 2.15 million bpd, a minor upward revision of 17,000 bpd. Non-OPEC sources on Wednesday also disclosed that total crude production by OPEC members averaged 32.56 million bpd in August, an increase of 278,000 bpd over the previous month. The cartel revised world oil demand growth in 2019 slightly lower by 20,000 from the previous month's report, again due to economic revisions to Latin America and the Middle East: "World oil demand growth is now anticipated at 1.41 million bpd and total global consumption at around 100.23 million bpd," it stated, adding that the trade war between the U.S. and China is also cause for ongoing concern. John Kemp, market analyst for Reuters, views 2019 is a radically different light: on Wednesday he stated in an opinion piece that "Slower growth in U.S. production, when combined with strong demand, production problems in Venezuela and other countries, and the re-imposition of sanctions on Iran, is enough to tighten the global market in late 2019." Kemp reiterated the growing concern of some pundits that U.S. production is running into problems due to "the lack of sufficient pipeline capacity to move oil from shale wells in western Texas and eastern New Mexico to refineries in the Midwest and export terminals on the Gulf Coast." He also noted that production in the Permian Basin "has also been constrained by shortages of labour, equipment and materials, which have pushed drilling, pressure pumping and completion costs sharply higher." Kemp concluded his forecast by citing Energy Information Administration figures showing that U.S. crude production in 2018 will likely average 10.66 million bpd, down from 10.79 million bpd at the time of its July forecast. While both OPEC and Kemp's viewpoints make for eye-catching headlines, it's worth noting that the figures they cite are hardly calamitous; and if a prediction made earlier this week by DNV GL proves accurate, 2019 could see the beginning of shift away from a focus on crude and toward natural gas: the risk management firm forecast that natural gas is set to overtake oil as North America's largest single energy source this year and remain the dominant source until 2050.